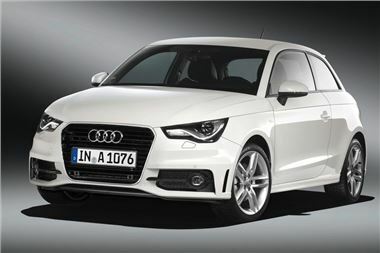 Audi is set to introduce a hot version of the new A1 which uses a supercharged 1.4-litre TFSI engine to deliver 185bhp and a 0-62mph time of 6.9 seconds. The newcomer, which has the seven-speed S tronic twin-clutch gearbox and S line specification as standard, will be officially unveiled at the Paris Motor Show in October. It will be the quickest A1 yet thanks to the supercharger which is active from 1500rpm alongside a turbocharger that comes in from around 3500rpm. With 250Nm of torque it should prove responsive in-gear but is still efficient with a claimed average economy of 47.9mpg and CO2 emissions of 139g/km. The lightweight seven-speed S tronic twin-clutch transmission directs power to the front wheels and is made up of two transmission structures operated by two multi-plate clutches. It delivers gear shifts in just a few hundredths of a second and with no detectable interruption of pulling power while a tall seventh gear reduces fuel consumption. To reflect its sporty status, the top A1 comes with S line sports suspension along with ventilated front brake discs. It also uses the latest version of ESP (the Electronic Stability Programme) with an electronic limited slip differential which briefly brakes the inside front wheel if it senses an impending loss of traction during fast cornering. The performance-oriented S line suspension forms part of the overall S line specification that will be standard for the 1.4 TFSI 185PS version and includes an exclusive S line exterior treatment, 17-inch alloy wheels and part leather-upholstered sports seats. This is in addition to the Sport equipment level which already includes remote central locking, air conditioning, electric front windows and mirrors, Bluetooth, Driver's Information System and a six-speaker single CD audio system with auxiliary iPod connection linked to a 6.5-inch retractable display. UK pricing for the new A1 1.4 TFSI 185bhp has yet to be finalised but will be confirmed nearer to the opening date for UK orders at the end of 2010.